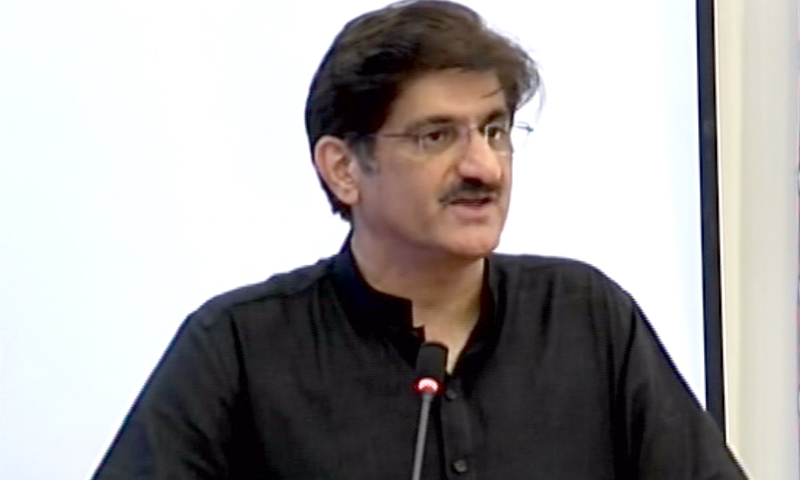 KARACHI: Sindh Chief Minister Syed Murad Ali Shah on Thursday said that the provincial government had initiated 4000 MW Green Energy projects in 2015 but their approvals were still pending with relevant entities of power division. He said this while talking to Federal Minister for Power Umer Ayoub at the CM House. “How we will be able to meet the energy requirements of the country in such circumstances,” he said. The meeting was attended by provincial Energy Minister Imtiaz Shaikh, Federal Secretary Power Irfan Ali, Principal Secretary to CM Sajid Jamal Abro and provincial secretary energy. The chief minister said that renewable energy was the cheapest source of energy not only in Pakistan but worldwide. “The province of Sindh is the Energy hub of Pakistan, Sindh has the only successful and economically viable wind corridor, highest solar radiation, biogas, geothermal and waste to energy project,” he said. He also said that presently six projects, including three of wind and three of solar, were pending for letter of support from the federal government although these projects have been given tariff from NEPRA. The chief minister said that 21 projects were waiting for power acquisition Request (PAR) from Central Power Purchase Agency – Guaranteed (CPPA-G) though 12 projects have obtained tariff from NEPRA. “22 projects are waiting for data sharing by NTDC to conduct feasibility studies,” he said. Federal Power Minister Umer Ayoub said that he was making the system in his ministry more effective and efficient so that these projects and other similar businesses could be expedited. The chief minister said that Renewable Energy (RE) Policy-2006 expired on March 5, 2018. “No action has so far been taken. The new power installation in the world is based on renewable energy technology and our focus is on the capacity-based projects,” he said and proposed that old energy policy may be extended as a stop-gap arrangement till the new policy was announced. The federal minister said that the new policy would be announced shortly in which national requirement, new technologies and such other aspects would be covered. Another issue of prolonged load-shedding in Sindh was also discussed in the meeting. Minister Energy Imtiaz said that prolonged load-shedding was badly affecting the economy of the rural areas of the province. The chief minister said that the policy of resorting prolonged load-shedding in the areas from where bills recoveries were low was inhuman. “If some residents do not pay their power bill in a village you cannot penalize the entire village by disconnecting their transformers or unlinking feeders of the entire area,” he said and added that a technological solution to stop power theft should be explored instead of resorting load-shedding. Federal Minister Umer Ayoub said that he was launching a massive drive against kundas and illegal connections in the province for which he requested the chief minister for his support. The chief minister assured him of his full support. Umer Ayoub told the chief minister that he would look into all the pending cases of the provincial government and dispose of them accordingly. He said that the provincial government would be taken on board in resolving all the issues of power projects.